If it’s an iconic piece of hardware or software, there’s at least a decent chance you could be seeing it in virtual iPad form soon. Tascam’s Portastudio, released today, is a particularly striking example. 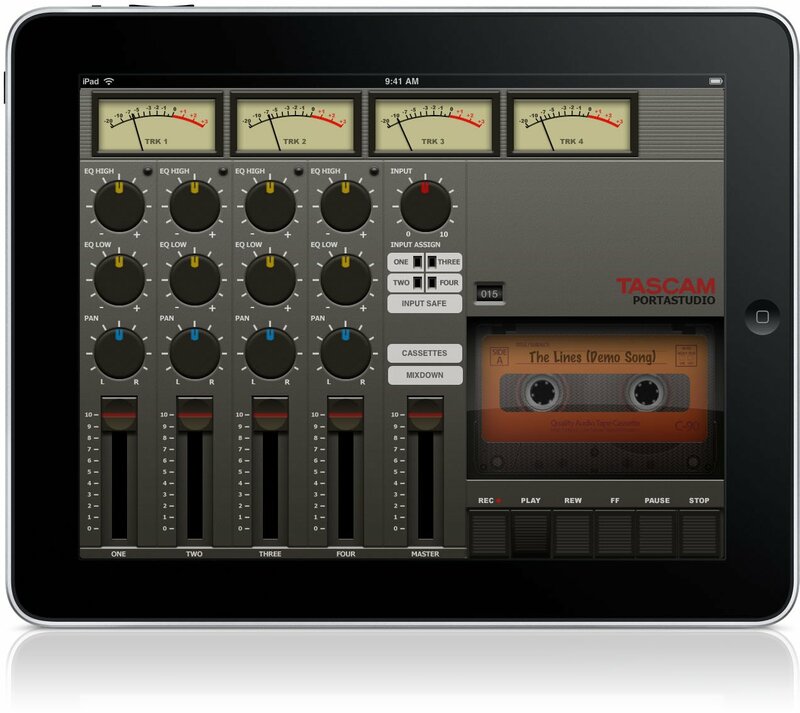 The famed, budget cassette multitrack recorder, the box on which countless demos and quick songwriter creations was forged, appears on Apple’s tablet. There’s even a fake cassette tape, which I have to say is a little bit unnerving. This is all nostalgia, right? Well, no, actually: those big, simplified plastic controls and memorable layout work because they’re so easy to use. The problem with a lot of software design of the past couple of decades is that it’s somewhat inhumane. Given endless space and often-increasing, ever-cheaper system resources, music software has been, charitably, less-than-friendly. Resembling a 70s jumbo jet cockpit, UI controls multiply and shrink to the point that they challenge all but an 18-year-old pair of eyes. Add in clunky default OS widgets, collapsible tabs and dockable windows that add still more complexity, and you wind up with a trainwreck. What these hardware emulations prove is that you could learn something from hardware – even when the need for blank space, big knobs and faders and buttons, limited controls, and standard hardware inputs and readouts is gone. Mixdown to stereo (via a dialog box, so that’s the point where you break the illusion). Support for “a few” class-compliant audio interfaces, though your mileage may vary. The bad news: no bounce, which seems a major oversight. Ironically, Tascam also has to admit that they don’t have any class-compliant audio interfaces. (Doh!) In case you’re wondering, they also say flat out in the FAQ, don’t expect versions for other operating systems soon — too bad, as this would seem fairly ideal in a reduced form on iPhone and iPod touch. But the radical simplicity of this app could be its appeal. I may actually fire this up to use as a recording sketchpad, especially with hardware synths, Game Boys, and so on. And forget the app itself: this ought to be a perfect time to look back and remember what made the original PortaStudio great – and wonder why so often those same design principles are lost. 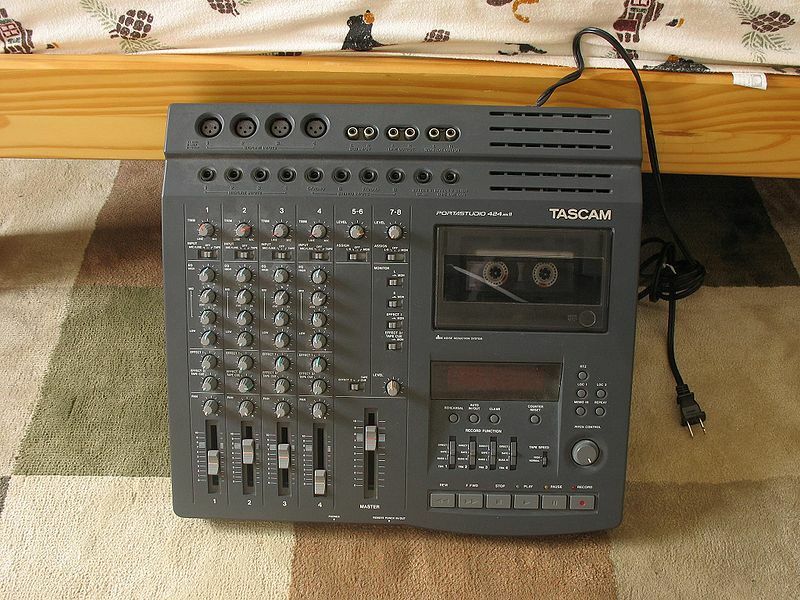 One of the famed Tascam models, the sort that may well bring up fond memories of mobile recording. (Not quite the right model, but you get the idea.) Photo (CC-BY-SA) Lucius Kwok (the developer), via Wikimedia Commons.